Unique Opportunity to have your own WATERFRONT WEEKEND SPOT on Beautiful Lake of the Ozarks!!! AFFORDABLE....MAINTENANCE FREE Lake Living at it's best! Nice Area on the Lake, Beautiful facilities, easy boat access with concrete boat ramps. Terrific views, water & sewer provided.....30 & 50 amp electric service (camper pays for electric used/$100 initial deposit required plus subsequent deposits when needed).....Complete custom packages available that include RV site, Boat Dock, and dry covered or enclosed storage units. 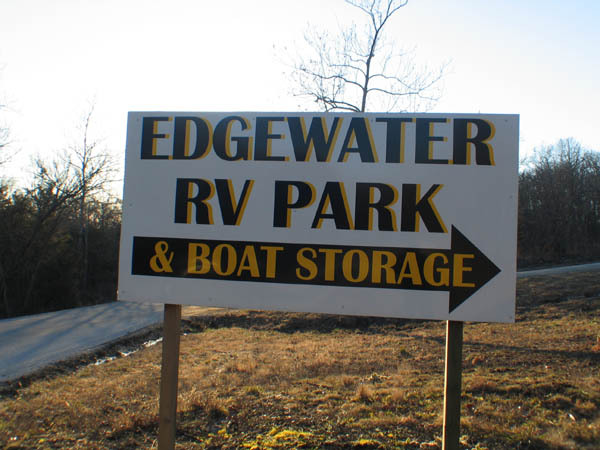 Rent what you need.....Bring your RV, boat, and all your toys and just enjoy....no hassle, no mowing, painting, or taxes....just lots of fun memories to make with family and friends at the lake. Call us today to get your name on our waiting list...Don't miss out on this awesome offer...LET US DO THE WORK......YOU HAVE THE FUN!!!! WE"RE ON THE WATER - ARE YOU?